An anguished Catelynn Lowell Baltierra listens while her husband Tyler denounces Brandon and Teresa Davis, the adoptive parents of their first daughter, Carly. Seven years ago, as teen parents, their surrender of their daughter was featured on MTV's reality soap opera 16 and Pregnant. MTV has followed Catelynn and three other teen moms who kept their babies, Amber, Staci, and Farrah, as they moved from adolescence into adulthood in a show now called "Teen Mom OG" (original girls). show. Teresa's demand is not unreasonable. At seven, Carly cannot be oblivious to the fact that she is a media celebrity. She may resent or at least be uncomfortable with having portions of her life entertain a national audience. Teresa and Brandon may find it stressful to try to live a normal life when their conversations are reaching millions over the airwaves. Catelynn recognizes that she and Tyler have no alternative but to accede to Teresa's demand. Tyler resists. His responses suggest Elisabeth Kubler-Ross's five stages of grief. He denies that he can continue without interjecting the adoption into their life story that is being taped: Carly's story is part of his story, and his job is to tell his story. He becomes angry. He threatens: "If they can cut contact with us, they will have to deal with her hurt and pain." He argues about the unfairness of it all--I have sacrificed enough for [Teresa and Brandon] to have a family. That's fine. I've come to terms with that but I won't lose my voice." In the end, Tyler just shakes his head. This is no cliff hanger--the audience knows that Tyler and Catelynn will accept the Davis' demands. Their open adoption, like most open adoptions, depends on the good graces of the adoptive parents. The Davis' restrictions, though, are only a small part of a larger tragedy. Regardless of what the Davis' do, the Baltierra's must live with the immutable fact--THEY GAVE AWAY THEIR BABY AND SHE WILL NEVER BE AS IF RAISED BY THEM. During this season, viewers have learned that Catelynn is suffered from severe depression, she has a hard time getting out of bed, and smokes marijuana multiple times a day to help calm herself. She recently completed a stint in a rehab treatment facility to deal with her depression. She's scared she'll make mistakes parenting their second daughter, Nova. Through their media presence and visits to college campuses they have promoted adoption on behalf of Bethany Christian Services which handled Carly's adoption. Yet their emotional outbursts--and the painful visit at a hotel which was taped--and reactions to what adoption actually means to them, the young couple may actually be warning young parents away from the adoption option. When they were on a couples-in-relationship-trouble reality show a few seasons ago, one of the other guests outright asked her (as we recall) why they gave their baby away. Catelynn was obviously distressed about being confronted with someone who did not approve of their decision. It was obvious she was not proud of her decision and that they both missed their child. And we know from previous shows that they did not fully understand that their relationship with Carly and her adoptive parents was not fully open. In a long-ago episode of Teen Moms OG after the adoption their counselor Dawn said something to the effect that if they wanted a fully open adoption they should have asked for one. By her reaction, it was clear that Catelynn didn't even know such an option was available. What are the happy birthmoms celebrating? How does a baby feel about being a 'gift'? A hearty thank you to those readers who order--anything--from Amazon through the blog. Just click on the book links here or the sidebars. Catelyn and Tyler are finally getting off of the adoption train, and I just hope that they are able to continue some kind of relationship with Carly. The Davis' are selfish people who only think of themselves. Hard thing for everybody in adoption to wake up to the reality of what adoption really is and does. More awakenings to reality are ahead for all of them, the four parents, and saddest of all for Carly. Three ring circus in progress. Oh when we grow up and realize that fairy tales are just that, fairy tales. Adoption is -not- a "happily ever after". So I have to ask, why do some keep trying to say it is?! I feel sorry for this young couple, but they are wrong to carry on their situation in public, on the world stage - it will impact their daughter in a very negative way. They like getting attention, but she deserves to have some privacy. And they had better be careful! Marijuana, rehab? They could lose whatever rights they have now, for visitation, if they allow their personal lives to deteriorate and get worse. I feel more sorry for them than before, after reading the previous posts here on FMF, including Tyler's blasting of Lorraine. Perspective can change drastically in a short few years, as they are finding out right now. It is part of the maturing process. Sadly, I think they were naive and taken in by the adoption industry, church, and the television industry. Reality shows are exploitative and a terrible (if socially acceptable) form of voyeurism. The more aware of all this their daughter becomes, the less she will respect her birth parents as role models and people. I sincerely hope Catelynn and Tyler will not let the situation disintegrate any further. This is what they signed on for, and they should be more mature about the whole thing, if they can. Having said I'm sorry for them, I also think they must own their own actions in the pain that has resulted for them - as everyone must. And cease turning all their lives into so much dirty laundry for everyone to gaze at. I was wondering - didn't Catelynn get pregnant on purpose for the show? I mean, not sure if I got that straight or not when the show was new, but that was the general understanding that everyone else appeared to have. In that case, they were seriously naive. I don't believe that is the case. The producers found her through Dawn of Bethany Christian Services. Italics fully intended. Wouldn't it be wonderful if the adopters just gave the kid back, for once? Just realized they were not doing anyone any good, and returned the child to her family. Not all at once, but with loving support. Adoptive parents expect women to give away their newborns, but would never, ever consider giving them back. Sacrifice only goes one way. 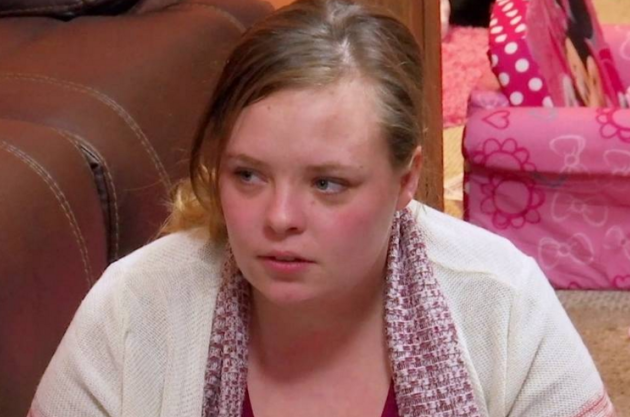 Catelynn is obviously grieving her daughter, and all that could have been. Tyler is a moron. You always make such good points Adopted One. In the comments section of Teen Mom and Catelynn & Tyler's fanpage, adoptive parents go incandescent with rage at anyone proposing what you have here. As if it's unthinkable. And most of the other commentators are happy adoptees who deem their original parents to be of minimal significance, or birthmoms who have not yet woken up to exactly what they have done. There are over half a million subscribers to these two facebook pages. It would be really good if our voices here could be expressed there, to such a wide audience. True, we will have outrage landed on us like a ton of bricks. But we would be preaching to the non-converted - the ignorant, the romantic, maybe the pregnant and wavering mother or the lost and isolated adoptee - maybe people who need to hear our voices. It's a chance to actually really be heard in the larger culture that the adoption industry manipulates so easily. Excellent point Cherry. So often we talk to one another, preaching to the choir. Can you provide our readers with the links to C & T's fanpage and other sites where our voices need to be heard. I have commented on some of these sites, and, yes, the outrage landed on me like a ton of bricks. Let's wade in there and add new thoughts to be thunk! I think the Davises are absolutely making the right call by allowing Carly the option to keep her life private until she is 18 years old. At that time, she can decide who she wants in her life and how much of her life she wants to make available for public consumption. She has already been made the poster child for adoption much more than any child should be. I don’t see that Brandon and Teresa are refusing Catelynn and Tyler any contact with Carly, only how much of that contact can be made public. I’m glad someone is looking out for Carly’s privacy. So Catelynn is suffering from such severe depression that she had to attend rehab. Hmm. Does anyone else think this is stemming from giving her firstborn up for adoption? I wonder how long it will be before Catelynn and Tyler realize that giving Carly up for adoption was the worst thing they ever did. I watched the season when they gave her up and I can certainly understand why they felt adoption was the best (only?) choice at the time. They were both living in unstable situations without adequate family support, and they had no way of knowing then that they would continue to be celebrities, would make good money and would eventually marry and have another child. By the way, when did they get married? If and when Tyler and Catelynn do a 180 and accept the truth about what adoption really does to people, I hope those of us who are already there, and who support family preservation, will accept them with open arms. And I hope Cate isn’t smoking marijuana near the baby. Secondhand smoke is very dangerous. I think it's not fair to Carly how public and known her story is, and I can understand the Davises wanting to protect her now from more publicity. I'm pretty protective of my daughter's story- it's not mine to tell everywhere. I wish that privacy and protection had been given to Carly in the beginning- I've always found the premise of the Teen Mom show to be really exploitative. My heart hurts for Catelynn. It sounds like and Tyler are deeply hurting. Open adoptions should remain open, and it's wrong to change the rules afterwards to restrict contact without a valid and serious reason. I wonder, though, given Tyler's reaction, did the Davises restrict contact, or are they just asking that Tyler and Catelynn not talk about Carly in public? I feel like that's a valid request in the best interests of Carly. It's a grey area though, because he also does have a right to tell his story... I feel like Tyler and Catelynn are going through the stages of grief in such a public way as they also are growing up. It seems wrong to display them like this on a tv show. I hope the Davises, while protecting Carly who absolutely deserves the most consideration as the child, are able to have compassion on Catelynn and Tyler. If Catelyn and Tyler are still shilling for Bethany, I don't know what to think about them. Pity or anger? If the young women watching this show understand how horrible it is to give up a child, they may deter more from doing so. A good thing. If you carry a child to term and give birth, plan on keeping that child. If the emotional health and well-being of Carly is central to this situation, then perhaps it's best that Carly be returned to Catelynn and Tyler if they are now able to provide a stable and loving home for her. This could be done if both sets of parents worked together on a long term plan that might begin with short visits that, over time, become longer and longer. I saw this episode and feel terrible for Catelynn and Tyler. I agree the adoptive parents have a right to keep Carly out of the limelight and protect her privacy. But I really fear this will lead to their closing the adoption entirely. Tyler is angry, which is understandable. I was glad to see him expressing his anger and frustration with the situation but I don't want to see that used against them in the future. They should both be allowed to express their feelings without being shut down. I wonder how they proceed from here...are they expected to act like Carly doesn't exist and never speak of her again? Must they pretend she is not their daughter and Nova is not her sister? Many of us suffered from these cruel expectations and we know the harm that caused (and continues to cause for many). Catelynn and Tyler's parents will also be affected by this development. They were not entirely supportive of the idea of adoption and there was an early episode where they were seeing a therapist to help them deal with their concerns. The collateral damage of adoption rears it's ugly head. Only time will tell how this all works out. Hoping for the best for Tyler, Catelynn and their entire family. The adoptive parents are so wishy washy about filming. While I do agree with the obvious notion that it's good to respect Carly's privacy, I am also annoyed by the fact that Brandon and Teresa refuse to film, but then you see them back on camera again one season. Tyler once said that these decisions seem to be more of a power move rather than actually about Carly's best interests. Anyway, as someone who is a big fan of this show and also passionate about family preservation, I can confirm that Catelynn and Tyler's situation has really opened people's eyes about the harsh realities of adoption. While in the Teen Mom fan community it's more focused on Bethany Christian services and more specifically the adoption counsellor Dawn (rather than the industry as a whole). Many people comment about how questionable Dawn and BCS was and has been with the whole process. Some fans even call it what it is, baby selling, and they recognize be coercion that went on. It's promising and better than nothing but I hope the next step is that people will realize that this is not exclusive to this one agency that Dawn is in charge of. People need to remember the adoptive parents knew what they were getting into. They chose to buy the baby of a couple on a tv show. 16 and Pregnant was a one time documentary. I imagine Brandon and Teresa had no idea that it would evolve into Teen Mom and would still be going on 7 years later. Oh they knew what they were signing on to. They chose to close their eyes to that in their lust for a baby. Not so different than most so called open adoptions. They are all on board and gung ho about everything until they walk away with someone else's child. Turns out they want everyone except themselves out of the picture. Funny how that works, huh! As a birth mother, I must start by asking about what they expected from the situation. They singed on for adoption, not sleep away camp. I have been through it. I understand the sacrifice and the the tears. I also had an open adoption but chose to close it as an open adoption is not healthy for myself of the adoptive parents. We all have our reasons for our choice. I have made my peace with it with time. Anon 9/8/16 6:30 pm wrote: "I also had an open adoption but chose to close it as an open adoption is not healthy for myself of the adoptive parents." And what about the effect of closing the adoption on the child? I can't help but notice that you only mention yourself and the adoptive parents. Did you also consider the child's feelings and how this might affect him or her in the long run? It can be extremely devastating to the child to have a relationship with you and then suddenly have no more contact. Was any of that part of your decision making? This is what Colin Kaepernick's mother did--cut off contact when he was seven, I believe, because it was too devastating to endure. Now that she wants contact, he turns her back on her. So women who enter into open adoptions should shut them at their peril. I'm very worried about this in our adoption. We would love more contact, and I have asked and invited and encouraged all along through the years, but it's very hard for our daughter's other mom and dad. Understandably so, I want to add. I get it. I have seen how hard it is for them. But our daughter asks about them, wants to see them, wants to talk with them, and all I can say is, "I know, sweetie. I understand you feel that way. I'm sorry." I won't blame her if she eventually holds it against them because she will be aware that the lack of contact is not because of us. Open adoptions do not come with a handbook, and they are not the magic potion that the adoption industry makes them out to be. They are fraught with emotions on all sides and are difficult to traverse, and who knows the "right" thing to do??? I absolutely get that saying goodbye over and over must be soul crushing. But I run my heart and mind ragged with trying to figure out what is best for our daughter (not in terms of closing the adoption- we would never do that- but in how to handle conversations with her, if we should push harder for contact, and such). I don't agree with the way that Davis' have handled this situation, and I hate that it's all so public for Carly, but I also think it shows how incredibly challenging adoptions are for a lifetime, not just in the beginning. You sound like a clinician, not a mother. Stop the psycho-babble and start thinking about your child's need to know her kin. It's your child, not you or the a-parents whose needs count. I always imagine poor Carly seeing a magazine in a store someday, with her parents and sister on the cover. Imagine how that would hurt! To see your own beloved parents and full sister, all together. How will they explain that? Her adoptive parents will not be able to shield her forever. Okay - I am confused, the adoptive parents have allowed filming before and when they feel like it - exactly how are they shielding her? It sounds like to me that they are feeling the power and using it. The truth is always better than the lie you tell to "protect" someone - it hurts for a moment - the lie hurts forever. If you actually watch the show, you will see that Catelynn and Tyler are immature, lazy, unmotivated stoners who are terrible, neglectful parents to Nova. They have accomplished absolutely nothing in the 7 years they have been on the show. Nova stays with Catelynn's mom -- who abused Catelynn -- several days and nights out of the week. Scary thought. It doesn't appear they really want to be parents. Exactly how is that a better life for Carly than with stable, loving adoptive parents who actually want to be parents and don't lay around all day getting stoned while their baby eats Cheetos out of the carper? Catelynn is clearly suffering from depression and a big reason is losing Carly. Every time she sees Nova, she is reminded of her missing daughter. Being on the show and having her life played out before millions must contribute to her repression as well. Catelynn and Tyler made a Faustian bargain. Ironically, the future they attempted to avoid by giving up Carly--stuck in a small Michigan town with no long term career prospects--has come to pass, precisely because they gave up Carly. We don't know what kind of life they and Carly would be leading if they had they kept her. We do know that while the other OGs who kept their babies have had their struggles, they are generally better off than Catelynn. We cannot assume that Carly's adoptive parents are stable or loving. Wanting to be a parent doesn't necessarily make someone a good parent. Many a picture perfect family is anything but. When Catelynn is in "therapy" she blames her depression and anxiety on how she was raised, not on giving up Carly. Not saying that doesn't play a part, but we can't assume her depression is solely based on giving up Carly. Cate sabatoges any attempt for help, like missing a very important psychiatrist appointment and deciding that weed is a great cure for her anxiety. Next week's episode will be interesting because it appears B&T may be cutting C&T off from visits. I can't really blame them, considering C&T are mentally unstable, Tyler has dissed B&T on the show, Cate has been shown driving while smoking pot, how they and their families have not respected the boundaries B&T have asked for, and the fact that they are complete stoners who neglect Nova. I agree that wanting to be a parent doesn't necessarily make someone a good parent. C&T pine for Carly while neglecting the daughter that is in their care. I do feel bad for C&T because I don't think they understood what they were getting into when they were 16 and they had no real family support. I don't think they are much brighter now as in the preview for next week Dawn from Bethany shows them the paperwork they signed that outlined their non-binding agreement with Brandon and Teresa, and they acted like they hadn't looked at it since they signed it. Catelynn may well not have known all the causes of her depression. I've met adoptees and natural parents who say it was years before they realized the impact adoption had on them. Therapists say the adoption element often does not come out until after many sessions. The patients don't realize it's relevant. Likewise, adoptees and natural parents say that therapists dismiss their suggestions that their depression or feelings of abandonment may be related to adoption. The fact that Catelynn misses her appointments and relies on weed may indicate that the therapists are not tuned into her issues and she doesn't get relief from her visits. You infer that C is a mess and thus that giving up Carly was a good thing. We don't know if she would have been a mess if she had kept Carly or whether giving up Carly caused her problems. Tyler seems to have it together, a loving father and faithful husband. Is that because he gave up his first daughter? Yes, C&T did not know what they were getting into. Their families, although they had problems, offered help and tried to talk them out of adoption. C&T were swayed by the smooth-talking Dawn who did not give them sufficient information to allow them to give informed consent. At a minimum, she should have read the papers to them and gone over each provision carefully to be sure they understood them. She should have told them about fully open adoptions and about resources they would help them keep their baby and finish school. What happened to C&T is a good example of why people considering adoption for their baby need independent counsel. It would be a huge mistake if B&T cut C&T off. How will they explain it to Carly? Why did her real parents disappear from her life? Was it her fault? If her mom has mental health issues, does that mean Carly is damaged? There is no point in cutting of C&T other than that B&T don't want to be bothered. They want to wrap her in a cocoon and pretend that she is 100 percent their child. They agreed to a semi-open adoption only because that was they only way to get a baby. If they had had Carly's welfare in mind, they would have insisted on a fully open adoption. Carly is not in any danger from C&T. The visits are few and supervised. The positive in all this is that it may serve as a warning to young women -- keep your baby if it is at all possible. Don't trust adoption workers and don't trust those who want your baby. Some are honest but others will say and do anything to get your baby and get their fee. Catelynn is clearly grieving for her lost daughter. She even named it - "I will be at my wedding with my two daughters and only bringing one home" she said through agonized sobs. But no-one was really listening. Days later, as she opened the door to begin her wedding walk through the congregation towards her husband-to-be, what did she say? What would any bride say? What new bride says that? Catelynn has been hollowed out by the grief of losing her eldest daughter. The penny is dropping and she's completely lost in the overwhelming pain of it. Her attempts to self-medicate her way out of that pain is a symptom of the emotional agony she's in. To say that Carly is better off without her true mother and father just because her mother is grieving so profoundly is ugly and cruel, but typical of the self-serving views of many people who adopt. It's so much easier to write off the humanity and motherhood of another human being if you're helping yourself to their baby. Otherwise, what kind of person would that make you? I think Cate wanted to keep Carly. Catelynn's mom wanted her to keep Carly but she was an abusive mother, Butch was abusive, and Catelynn had no where else to bring the baby but back to an abusive home. She didn't want that for her child. Tyler told Cate he would leave her if she kept the baby. Tyler's mom Kim did not want them to keep the baby and told them the baby was not going to live with her. Cate did not have any support or good options. We don't know exactly what Dawn from Bethany discussed with C&T, but it's clear they knew visits weren't promised. C&T didn't even indicate they wanted ongoing visits from what the paperwork showed. I agree that they were too young and ignorant to make the decision on their own but it was legal. Are you suggesting that laws should be changed so people have to be older to decide on adoption as an option....or abortion for that matter? Or that parental consent is made mandatory? Or that it should be required by law that people are provided a 3rd party representative to make sure they get in-depth info about every possible option? Which of course should include abortion. Out of curiosity, what are the names of some of the organizations that will house, feed, and finance girls and women and help them keep their babies? Many years ago I worked doing pregnancy options counseling and spent a lot of time researching it and was unable to find ANY in the area. I could only locate places that would house, finance, and support girls/women who were placing their child for adoption with them. I disagree that Tyler has it together and is a great husband and father. He, along with Cate, have done absolutely nothing in the past 7-8 years since they have had Carly. No working, no school, no volunteer work, etc. The only changes are things money can buy like new cars and houses. Along with Cate, he allows Nova to stay with April half the week while neither one of them have anything else going on. He is passive-aggressive with Catelynn, constantly on her about her weight ("I don't want no heifer for a wife") and her lack of motivation, while he has no motivation either. If B&T cut C&T from their yearly visits it is all C&T's doing. I wouldn't allow a child around them either. B&T have shown themselves to be very patient and loving with C&T but there is apparently only so much they can take. They need to protect Nova. C&T have serious issues, aside from insisting on staying in the spotlight on reality TV which could be dangerous for B&T and Carly (rabid fans have stalked and threatened them), and I can understand why B&T may have decided that visits are not in the best interest of Carly. Anon, in all honesty you should disclose whether you have a connection to Bethany or B & T. and whether that you are an adoptive parent. I'll answer your questions which I trust were not intended to be rhetorical: I'm not suggesting the adoption was not legal. The tragedy is that it was legal. There is no other area in the law where a minor can sign a binding contract. C & T should have had guardians appointed for them if their parents were not up to protecting them. There is no the other area in the law where someone can sign away constitutional rights without being fully informed. Laws require consent in all transaction except adoption to be informed. Doctors have to disclose procedures, alternatives, risks. Stock brokers must assess their clients' financial situations and risk tolerance before recommending investments. Realtors have to advise prospective purchasers of the condition of the property. If the information is not disclosed, the patient or purchaser has the right to collect damages. There are no similar requirements in adoption law. State licensing rules require some disclosures but these are weak, and in any, event a mother can not undo her consent if the adoption agency did not disclose pertinent information. Mothers can undo their consents nly for fraud or duress. Unlike fraud in securities or real estate transactions, fraud in adoption consent is common law fraud and exceeding difficult to prove. Dawn had a conflict of interest. Bethany stood to get $30K or more if C & T would sign the papers. Knowing they were unsophisticated teenagers, Dawn still had them sign without full disclosure. True C & T didn't ask for more visits or a fully open adoption but they did not know these were available. A realtor, for example, has to inform a prospective buyer the roof leaks even if the buyer doesn't ask. The US has far more infant adoptions than the UK, the Netherlands, Australia, and other countries because of its weak laws and profit motive. England and Wales have about 125 infant adoptions a year, less than my state, Oregon. These countries have no more child abuse, crime, or other negative events claimed in the US to be the outcome of single women keeping their babies. Regarding organizations which help poor pregnant women, there are programs throughout the country. Florence Critteton has gone back to its roots, providing services to girls and women to help them keep their babies. Likewise Salvation Homes now house mothers and babies. FMF has a few local programs listed on its Resources page. The CUB initiative, Saving Our sisters, is compiling a list of programs. There are government programs such as TANF, SNAP, WIC, Medicaid, and CHiP. The money spent on adoption would be better spent helping mothers keep their babies. I have to ask what kind of people would spend $30-40K to take a poor woman's baby but not a nickel to help her keep her baby as nature intended? While T & C did not have the money, etc of B & T, they had the biological connection which is critically important to a child, something adoptive parents and the adoption industry wishes to ignore, pretending that babies are blank slates and all they need is love. I encourage you to read the memoirs by people adopted as infants. 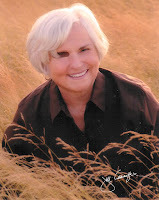 I'm talking about real memoirs, not paid testimonials of adoptees. 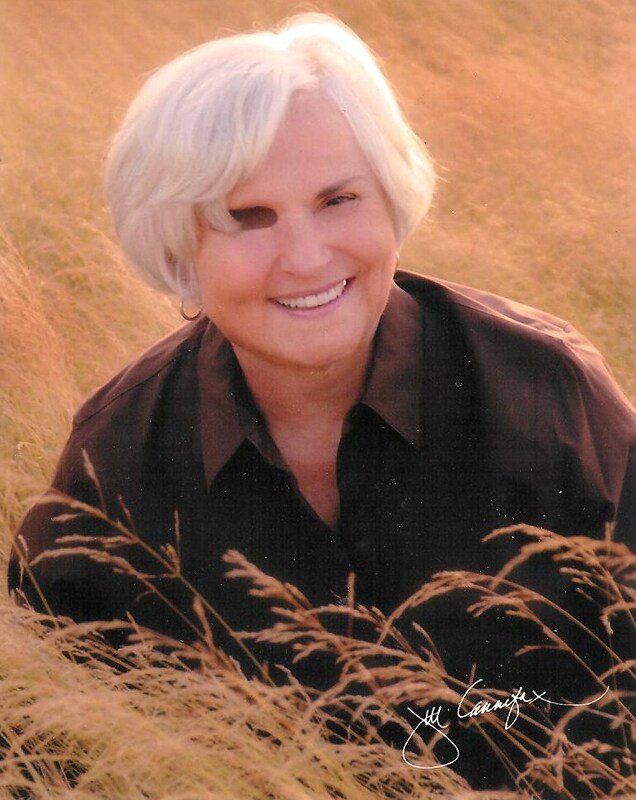 I also recommend the books and article of adoptive parents like Nancy Verrier who have written on the complexities of families formed by adoption. The fact the B & T come across as patient, loving, etc, tells us little. They are sophisticated, physically attractive, and, I suspect, coached by MTV and Bethany on what to say and how to behave. Behind that facade could be a disaster which we will learn about when Carly grows up, just as we learned about other adoptive homes that are not what they seemed, Brangelina, Joan Crawford, Rosie O'Donnell, etc. Ah Dawn, the Smiling Assassin hiding in plain sight. Slinking into the delivery room and interrupting the tender, bonding gaze between the young parents and their newly born daughter. As if the prospective adoptive couple's desire for a baby are in any way equal to this little intact family remaining together. "One may smile, and smile and be a villain." Brandon and Teresa, the couple who adopted Carly, were very happy to have a public platform to talk about adoption when it followed the common adoption narrative of 'superior-parents-with-veritable-angel's-wings-adopt-child-of-hopeless-teen-duo-and-thus-save-child-from-blighted-life'. Once that narrative began to go off piste - with the child's mother grieving very visibly, and the child herself straying from the approved adoption lingo by dropping the deliberately-diminishing 'birth' qualifier and calling out for her daddy, Tyler - the adoptive couple aren't happy at all. That's when attempts to close down public communication about the actual lived experience of adoption from the parents who lose within it began. And when the adoption itself began to close too. Of course it's vitally important that Carly's needs are prioritised within all this, and that she and the details of her life are not put out there for complete strangers' entertainment. But I suspect this inexorable closure of the adoption is about far more than looking after Carly's interests. I suspect that what she wants is almost inaudible right now. If she recognises, emotionally, Tyler as her daddy, what is all this doing to her?